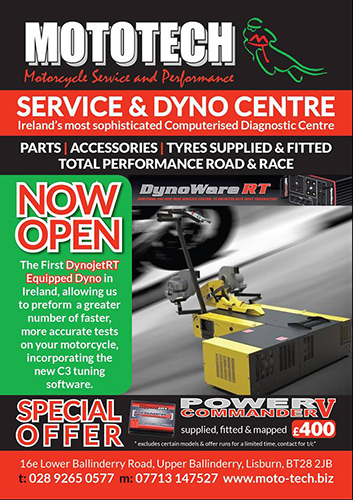 Right To Ride Business Supporters – MOTOTECH – announce that they have now opened the First DynojetRT Equipped Dyno in Ireland. MOTOTECH say this will allow them to preform a greater number of faster, more accurate tests on your motorcycle, incorporating the new C3 tuning software. See also details for their special offer on Power V Commander – supplied – fitted and mapped. Apart from the MOTOTECH – Service & Dyno Centre – “Ireland’s most sophisticated Computerised Diagnostic Centre” MOTOTECH can also supply Parts, Accessories, Tyres Supplied and Fitted and Total Performance Road and Race. 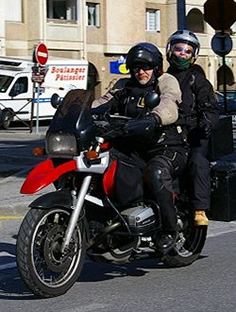 Focusing on personalised service MOTOTECH offers a convenient and rapid turnaround, allocating one technician from hand over to completion of the work required. An open plan workshop enables customers to sit in the waiting area and view their vehicles being worked on. Apart from servicing MotoTech also offer Diagnostics, MoT and pre purchase assessment and Road or Race Motorcycle digital frame check and alignment service using their highly accurate specialist “Motoliner” frame straightening jig. Beyond road going bikes MOTOTECH supply racing: Multi Championship winning Engines, Suspension, Parts & Accessories, Technical advice to multi champion Irish Road & Short circuit racers. Brian at MOTOTECH has built and tuned many race bikes for numerous top class/winning riders.